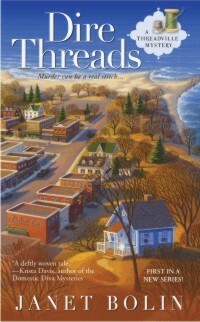 Threadville has everything - a fabric store, yarn shop, notions store, quilting boutique, and Willow Vanderling's shop, In Stitches, where she teaches embroidering with software and machines. But the village's zoning commissioner picks a fight with Willow and turns up dead in her yard. If she doesn’t find the real murderer, she may spend her life embroidering orange prison jumpsuits.